The smash-hit daylong jazz festival returns to The Willcox! This year’s lineup features another best-of-the-best crop of up-and-coming jazz artists, all frequent performers at Lincoln Center and other famous New York jazz venues. She’s one of Los Angeles’s most sought-after musicians, recording and touring with artists such as Jason Mraz and The Black Eyed Peas. She’s played for thousands at the Hollywood Bowl, Telluride Music Festival, and Planeta Atlantida. When she’s not on tour, Miller heads her own trio, featured on NPR’s Fresh Air. Miller is also the Chair of the Guitar Department at Los Angeles College of Music. Her debut album, The Shabby Road Recordings, released July 2017 includes the all-star rhythm section of Jay Bellerose (B.B. King, Elton John, Bonnie Raitt) and Jennifer Condos (Bruce Springsteen, Sheryl Crow, Stevie Nicks). 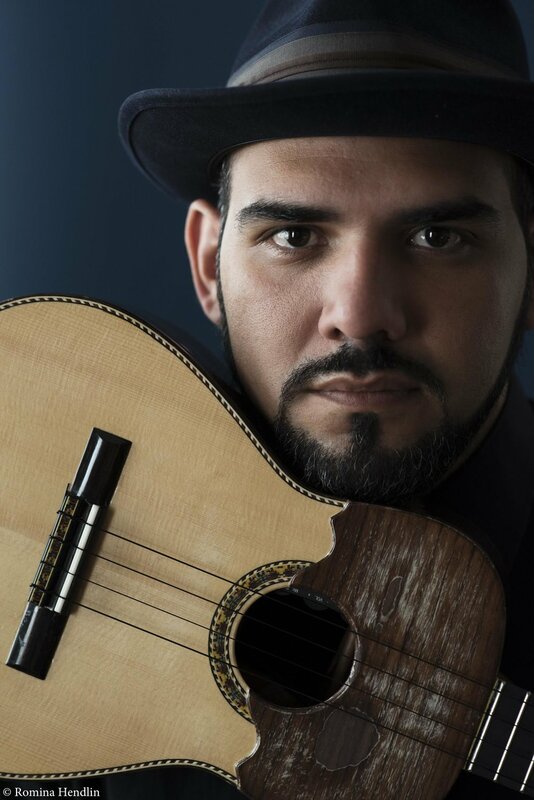 Jorge Glem is a cuatro player, mandolinist and musical producer from Cumana, Venezuela. He is the winner of prestigious awards such as El Silbón de Oro 2014 and Siembra Del Cuatro 2015 (as the best cuatro player), and three Pepsi music awards for his album En el Cerrito. He is also a three-time Latin Grammy nominee with the ensemble C4Trio. He has three musical productions of his own and has participated in over 200, traveling throughout four continents and sharing the stage with worldwide figures such as Paquito D'Rivera, Jordan Rudess, Rubén Blades, Carlos Vives, Calle 13, Guaco, Desorden Publico, Ensamble Gurrufío, Gualberto Ibarreto, Etienne Charles and many other important personalities of the music business. He is accomplishing the fusion of this traditional instrument with genres such as jazz, salsa, bluegrass, rock, and pop, with a clear goal of presenting the cuatro as a universal instrument. with sam reider . 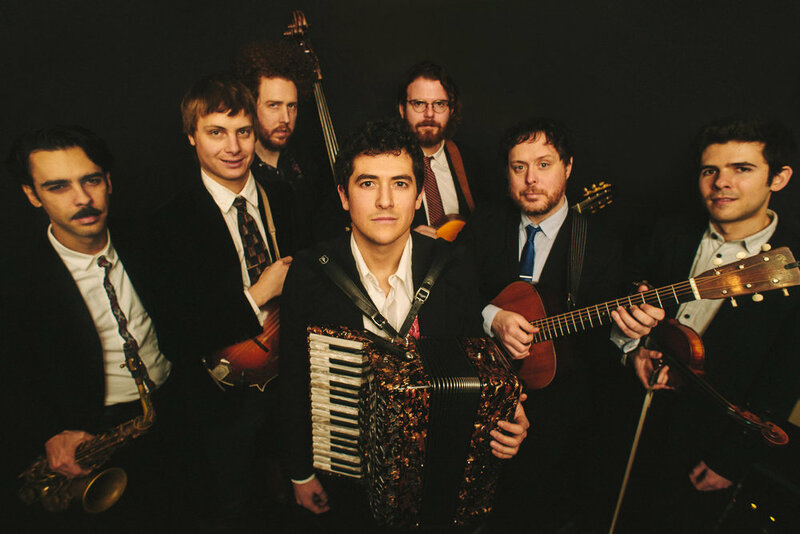 . .
Grammy-nominated Venezuelan cuatro virtuoso Jorge Glem teams up with American composer and accordionist Sam Reider to create a one-of-kind fusion of folk music. With jaw-dropping virtuosity and infectious chemistry, these musicians and friends are breaking down all the boundaries between their two continents, languages, and cultures. Jorge and Sam blend Venezuela's driving dance rhythms with American folk music and jazz. Shortly after completing his training at The Juilliard School in New York City and still at the very outset of his career, Carter has already played and/or recorded with many notable artists including Clark Terry, McCoy Tyner, Wynton Marsalis, Marcus Roberts, Mulgrew Miller, Kenny Barron, Michael Feinstein and Kurt Elling.